Was that IUI too early?? I wish I had pushed for an ultrasound to be sure when I went in for the IUI, but I didn’t. Any success stories out there? Comforting words? …Anything to help me take my mind off of what I fear my body is doing wrong?? 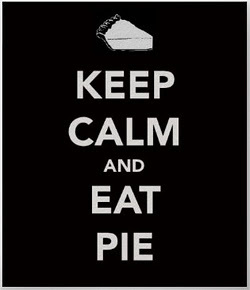 Keeping calm and eating pie is an excellent approach. Also, just keep BDing and you are covered (sperm from an IUI typically only lasts 24 hours because it’s been processed). But IUI really only helps with MFI, which is not an issue with you guys. IM trigger shots normally work in 36 hours. And it’s a strong trigger, so it could be your secret weapon for this cycle! Oh no! good luck…things might still work out! Fingers and toes crossed. Never, been in your situation, but I can tell you that visualization is great! Imagine little spermies (with Mike’s face) just swimming along and then all of a sudden they spot a BEAUTIFUL golden egg (like from Willy Wonka) and they race to see who can get there the fastest! Then imagine the Egg floating down on to a soft comfy bed, to rest and relax for the next 9-10 months 🙂 Hoping and praying and thinking about you!!!! Okay, thanks you guys. 🙂 I am calm now. And full of pie. I went back to read the details fyi : ) I think the trigger is what messes with temps the most. Hi, and welcome!! Yes, I was taking meds this cycle, along with an HCG trigger. I am part of a clinical study, and the meds are a mystery to me until the study is over. I am either taking Clomid or Femara, both of which I’ve taken in the past. Based on the side effects, I feel like I am taking Clomid. 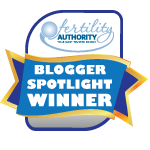 Are you still doing IUI? Did you take meds? This is my first IUI, and I have no idea what to expect… I feel normal, except just really doubtful that the timing was correct. *Sigh* Nothing to be done but wait, I guess! !